I'll go get me coat. October 31, 1999 saw the release of Nocturne (Terminal Reality/Gathering of Developers, 1999) on PC. Chances are you knew the Shin Megami Tensei game better than this, in which case I'd ask if you noticed the small print at the bottom in at least release title screen of some version of the game? 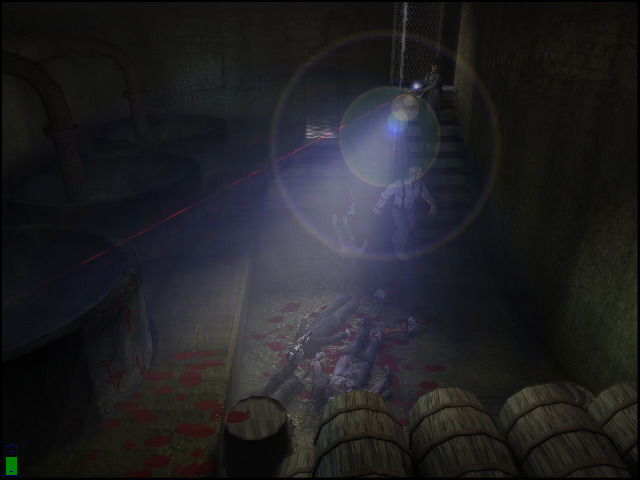 Nocturne is a survival horror game set in the 1920s and 1930s with prerendered backgrounds and fixed camera angles. The player character, the Stranger, is an operative for Spookhouse, an secret office of paranormal investigators. The game has four actual acts: one with vampires and werewolves, another with zombies and an underground spider god, one with undead mobsters in Chicago and... one romp through a trapped mansion. With how I've never finished a Resident Evil game, I can't compare Nocturne's plot to the first three games of that series. The acts are self-sufficient, with possibly the start of the first act being different in how it introduces the cast. They can be played in any order, but only after all four acts have been finished, the fifth act, the epilogue, will become available. The acts have a shared structure. They are all split into a few maps, with no option of going back. The acts start with a lengthy introduction, be it an in-engine cutscene or a prologue map at the Spookhouse HQ, followed by defeating large numbers of low-level enemies while solving simple puzzles (like moving a statue to a marked spot) and wrap up with a possible boss fight and then a long in-engine cutscene. The last cutscene will also wrap up all the narrative threads in the act, often with a nice twist of some kind. Overall, this is far more of an action game than Alone in the Dark (Infogrames, 1992), which I've never finished, just watched a playthrough by ProJared. There is an abundance of ammunition in most acts, but you would be smart to ask how the large number of enemies fits in with the fixed camera angles. 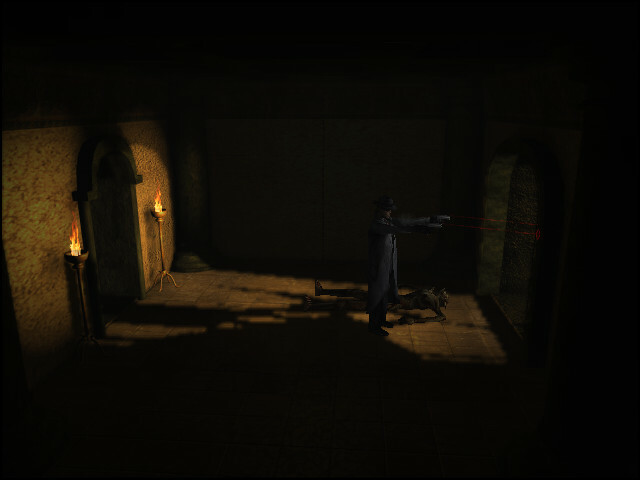 When the Stranger pulls out his handguns, they have red light beams showing where they're aiming. And if he's using autoaim (very much recommended), the aim will automatically snap on to nearby visible enemies -- even if they're outside the view. That meant I mostly ran around with the guns pulled up, and when the Stranger's arm twitched, I slowed down to shoot at the enemy. As a result, fights against melee attackers are very easy, even with tank controls. Unfortunately, combat isn't the only side of the action. Platforming is the other, and the jumping tasks in AitD pale in comparison. There are jumps between swinging blades. Running jumps over chasms. There are also the traps that will mean the player must have followed the instructions in the README and saved often. In many cases, the traps are well-hidden. Two instadeath pits in this image. 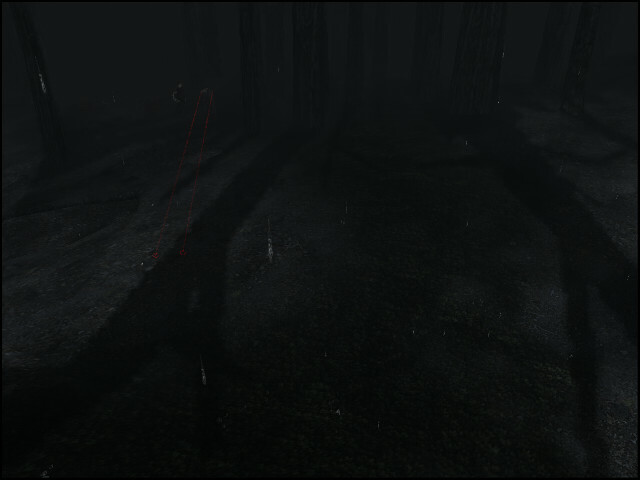 One is about at the midpoint of the red beams, the other is to the left of the end of the said beams. The other problem comes with the changing camera angles. In the Chicago level, undead mobsters are riding cars you can only hear if they're outside the camera. And yes, they're sporting tommyguns. The first half of the act feels like Chicago should sport minotaurs instead of mere bulls: even running straight down the street is somehow confusing. And then there was a case where the player had to jump into a slide rather than walk into it, because in the latter case the Stranger would land a few metres too early and die for some reason I don't understand. Or when the Stranger had to jump during a fall to avoid going splat (I think -- that's how I got past the point). The final insult are the levers the player must pull and keys they must spot. They tend to blend in all too easily, but thankfully, there's the "night vision" first-person view to the rescue. 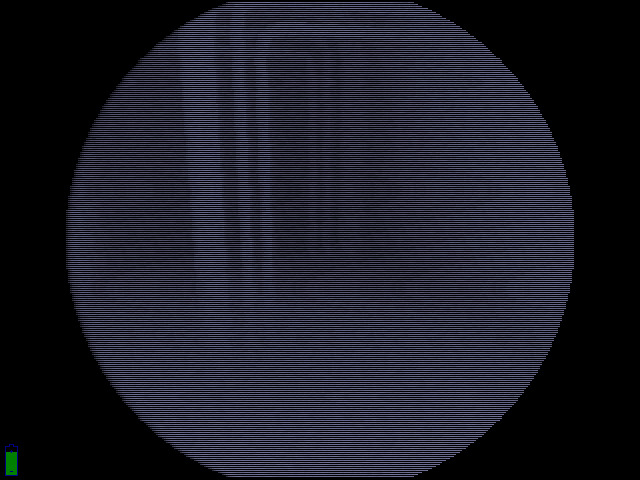 While everything will be sans textures, a lever well clear of the wall will be easier to spot in this. No keys here, just pipes. That is to say, the game would be easy except for all the worst reasons. Even worse, the last act is full of deliberate instadeath traps, which made me wonder if this was only a more modern Space Quest (Sierra On-Line, 1986). The game box is also a bit interesting: it has ELSPA's 15+ label. Maybe not interesting alone, but then the options menu has a switch for choosing between "teen" and "mature". The setting affects at least black censor bars on a few photos and possibly the amount of blood spilled. The characters can still be dismembered and break apart into multiple chunks, but there won't be as much blood flying about. In its time, Nocturne stood out for two reasons. One, the real-time shadows. This was in 1999. Severance: Blade of Darkness (Rebel Act Studios/Codemasters, 2001) was the other game I remember being praised for the shadows the characters cast, and that was two years away. At least for me, the big deal was the coat. A flapping trench coat. 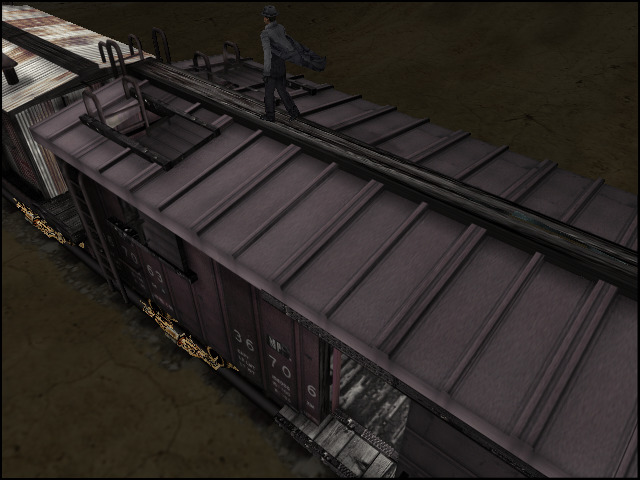 It would billow behind the Stranger as he ran, or stood on the roof of a train facing forwards. Turn around, and the coat would hug his legs. You may think this wasn't a big deal. The coat would cut through his arms and back on occasion. I bought the Xplosiv rerelease in Gamestop sometime in the early 2000s. Without prompting, the clerk commented on the coat physics. Yes, it was big enough of a deal. This wasn't a canned animation but something the game simulated on the fly. Given the technical competence of the engine, it's not unsurprising that it was used by multiple other games. The three Blair Witch games used it, Alone in the Dark: New Nightmare (DarkWorks/Infogrames, 2001) used it. For more takes on the game, you can go read IGN's review, Gamespot's review, Eurogamer's review and RockPaperShotgun's Have You Played... retrospective. And watch the playthrough on YouTube. I had a kind of a fan thing going for Terminal Reality in the sense of "I remember their old games!" Remember Duke Nukem 3D from 1996? Well, the shareware version of Terminal Velocity (Terminal Reality/FormGen, 1995) was the first game to wow me graphically after Doom (iD Software, 1993). Given the technical performance (and lackluster gameplay) in Nocturne and Terminal Velocity, it isn't a surprise that they also licensed their engines to other studios. 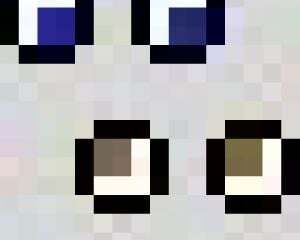 First the Nocturne engine and then the Infernal engine. Nocturne isn't strictly speaking a one-off. The main character in Blair Witch, Volume 1: Rustin Barr (Terminal Reality/Gathering of Developers, 2000), Elspeth Holliday, was from Nocturne. And far more importantly, the dhampir Svetlana Lupescu got her own game. Kind of. With a new name for both the character and the game. The game was BloodRayne (Terminal Reality/Majesco, 2002). And later BloodRayne 2 (Terminal Reality/Majesco, 2004). And even later three movies by Uwe Boll. Finally, BloodRayne: Betrayal (WayForward/Abstraction Games/Majesco/Arc System Works/Midnight City, 2011) is the last/latest game in the franchise and a departure from the 3D origins. Today, Terminal Reality is no more. Looking at MobyGames, the last two games they developed were Kinect Star Wars (Terminal Reality/LucasArts, 2012) for XBox360 and Walking Dead: The Survival Instinct (Terminal Reality/Activision, 2013). I doubt people who learned of them through these games harbor positive feelings for them. In the end, Nocturne isn't a good game by modern standards. While I could play it on Windows 10 with few issues (just use the Win98 compatibility mode), the style-over-gameplay approach ruins the enjoyment of playing the game. I liked the first two acts, but the last two were an exercise in misery. I'd suggest you either watch the longplay (content warning: the game and hence this playlist have succubi not wearing knickers) or use the cheat code that gives the player invulnerability (from "regular" deaths) starting with act 3. That's what I did.